After Xiaomi started their manufacturing unit in Andhra Pradesh, it is Lenovo’s turn to be enchanted by PM Modi’s ‘Make in India’ vision. As per reports coming in, they have commissioned Flex to manufacture smartphones at their Sriperumbudur factory near Chennai. The news has been confirmed by Amar Babu, chairman of Lenovo India. Flex is a contract manufacturer of electronics goods, and at this location, they have dedicated 1500 employees for Lenovo. As per Amar Babu, the factory would be able to produce 60 lakh units in a year, and there would be separate production lines for Motorola and Lenovo brands. Lenovo has become the largest Chinese smartphone company to start manufacturing in India. 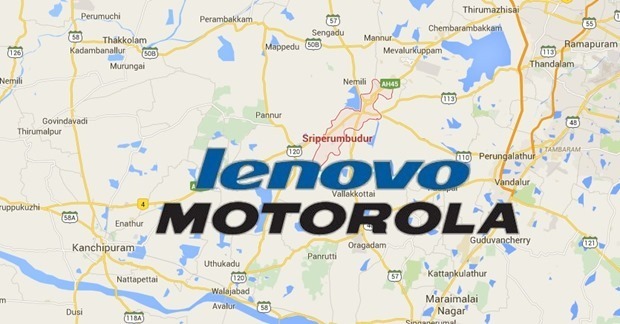 We had earlier reported that Lenovo may get into smartphones manufacturing very soon; considering that they already have a PC unit at Puducherry. Incidentally, Huawei, another Chinese MNC, will start their ‘Make in India’ inspired manufacturing at the same Sriperumbudur factory. The electronic products from this factory will also sell domestically. It is indeed remarkable how Make in India vision is inspiring and giving birth to new business alliances. For instance, ever since Google sold Motorola to Lenovo for $2.9 billion, there had been no initiative from Lenovo to consolidate production of these two different brands, and take the handset venture further. However, after their decision to start manufacturing at Chennai, it would be for the first time that both Lenovo and Motorola brands would be manufactured from the same factory. Currently, production for Motorola E has already started, and thus, it would be competing against Xiaomi, Redmi 2 Prime under ‘Make in India’ handsets niche. Lately, the government has been proactive, and prompt in issuing security clearances for manufacturing units; especially for China based firms. As per a report, Modi Govt. has given security clearances to 18 Chinese companies ever since it came to power. Opposition has been largely observed in power sector, where some industry experts have objected to certain security clearances. "Lenovo To Start Domestic Manufacturing From Chennai Plant Along With Motorola; Another #MakeInIndia Win", 5 out of 5 based on 2 ratings.